Two photographers means being able to have one photographer with the Bride the whole time at the Bridal Prep while your second photographer is with the Groom and his friends getting ready so that you don't miss any of those special moments. It's also a nice feature to be able to see photographs from two photographers with two very creative minds capturing all the highlights of your special wedding day in the most unique way ever from two different perspectives. Even when the photographers both meet back for your ceremony, they are always at opposite ends of the room making sure to capture all the special moments of your day from different angles in a quite, unobtrusive way. Choosing the right photographers for your Wedding Day can be overwhelming, from what package to choose, to how much to spend, etc. It's a process for some Brides... but it doesn't have to be. 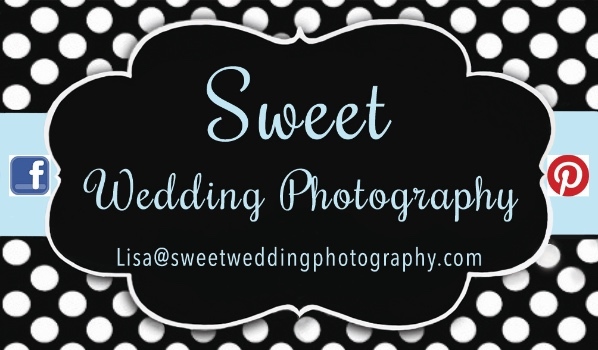 At Sweet Wedding Photography we cater to all the special details of your wedding day to make the experience a fun and exciting time for you. We work with you every step of the way not only guiding you through what to expect on your wedding day, but also providing you with our services even after the wedding day is over. From helping you with Custom Album Designs to showing you samples of our product line and guiding you through your final selections. Each client we work with gets the individual attention they need to make it the best experience possible. All of our albums are designed with your style in mind. You have the options of being involved as much or as little as you like during the design process. Getting your photographs taken on the most important day of your life with Sweet Wedding Photography, you will be confident that we can handle any situation that comes our way and at the end of the day deliver to you the most amazing creative photographs ever! Our style is timeless, unique and elegant. We capture the entire story...from the day you met, right up until the day you say "I Do". We love getting to know all our Brides. * We Guarantee 2 PHOTOGRAPHERS ON YOUR WEDDING DAY!